October 9, 2008 - by Barry Bourland - 2 Comments. 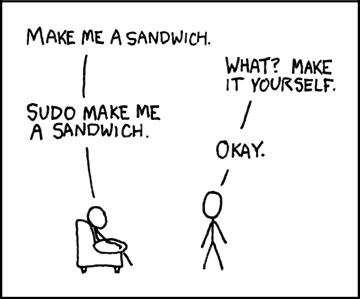 The sudo (super user do) command is a program for Unix computer operating systems that allows users to run programs with the security privileges of another user (normally the superuser, aka root). It is much like the “Administrator” status on Windows systems. In other words, “sudo” means “do it, and do it now”.